Kimono & yukata photo shooting in Osaka. Have your portraits taken wearing traditional Japanese clothing. At a studio with many different backgrounds. 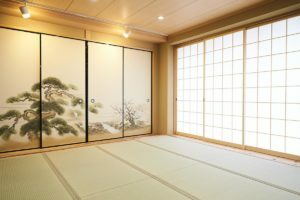 Maikoya is the only place in Kansai that offers multiple traditional decors for a great travel experience. We have 100% satisfaction rate. 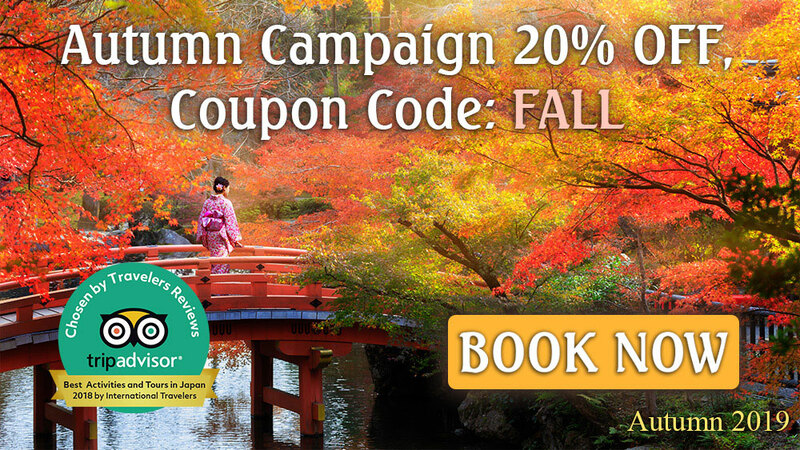 We pride ourselves on providing authentic Japanese cultural experiences to tourists and residents alike. 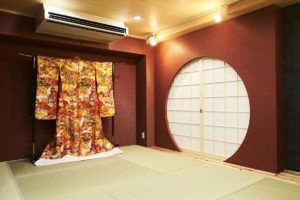 In this course, you can experience wearing Kimono, hair styling and photo shooting. You can choose the Kimono, hair accessory, cute bag in a variety of designs. Also you can put socks (Tabi socks), they will be a gift for you. After you dressed up, a photographer will take a picture of you. One picture will be presented for you with a special cardboard. 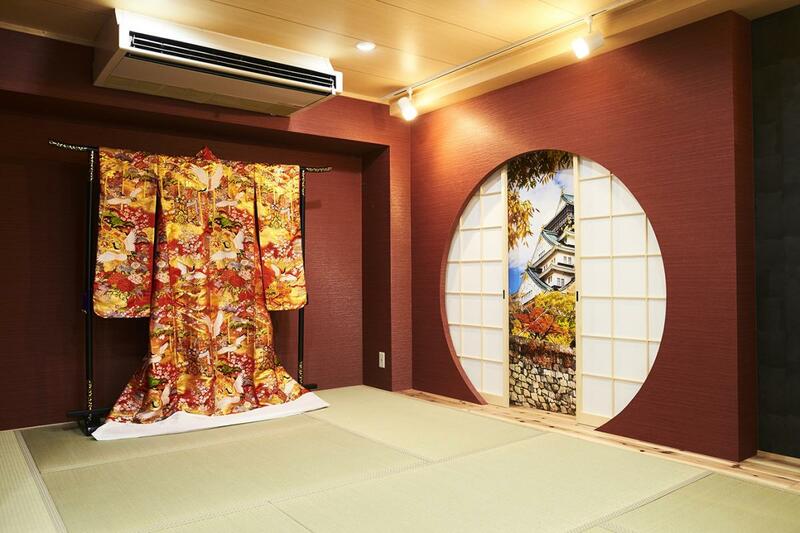 You can spend your time freely the remaining time with your Kimono’s on in the Heritage House. When you come to have your photos taken, rest assured that you are in the best of hands. 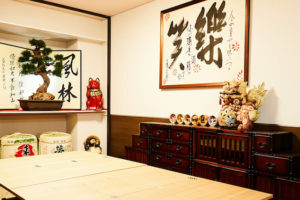 Upon arrival, you will be greeted by experts who will answer any questions and help you choose the best kimono for you. After making your choice, you will be taken to changing rooms where our experts will help you put on the kimono. Lockers are available there where you can store your clothing and valuables. 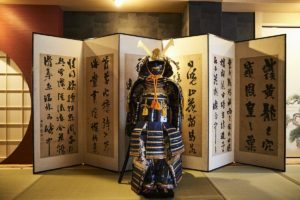 Don’t miss this opportunity to have your photos taken in traditional Japanese attire!